Where 16-year-old me was really into make-up, 26-year-old me is really into skincare. I’ve had the same skincare routine for about two years but recently I felt the itch to try out some new products. The first item that I added to my Christmas wish list was a jade roller. These little rollers have been appearing everywhere online. I just had to know what the fuss was about, beside them just looking beautiful in blog and Instagram photos. 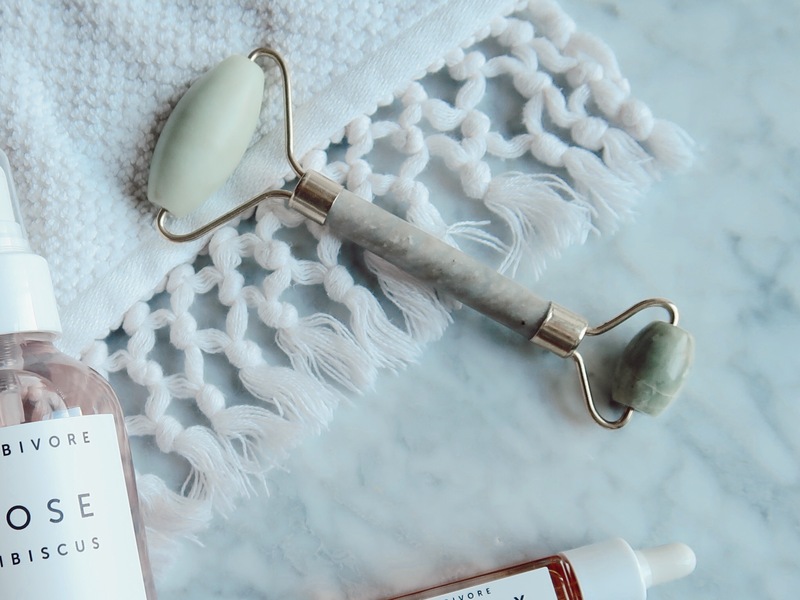 A jade roller is supposed to have a relaxing and cooling effect, which will help your skin glow and make dark circles disappear. It’s also supposed to diminish wrinkles and improve the blood circulation. Well I don’t know about the wrinkle part, but it does remove dark circles and makes your skin look glowy and awake. It feels so great that I happily spend my time rolling my face in the morning and in the evening. Also high on my wish list were several products from Herbivore. 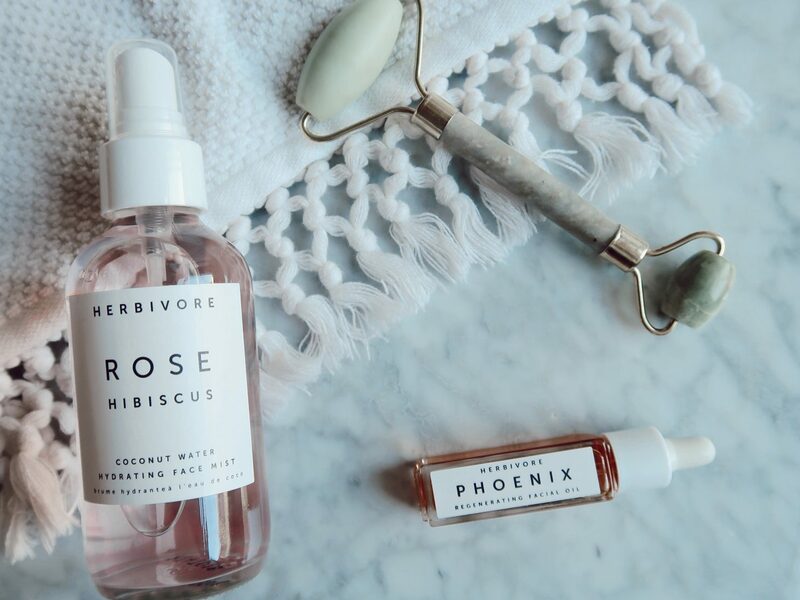 Herbivore is an all natural, vegan skincare brand that is gluten free. My favorite product I tried so far is the Phoenix Regenerating Facial Oil. This facial oil does wonders for the skin. It does not only hydrate your skin but it also makes it look bright and plumed. I literally have the feeling that it makes me look younger, which is always a good thing. I currently use it every other night because the price is quite steep. It is however completely worth it. 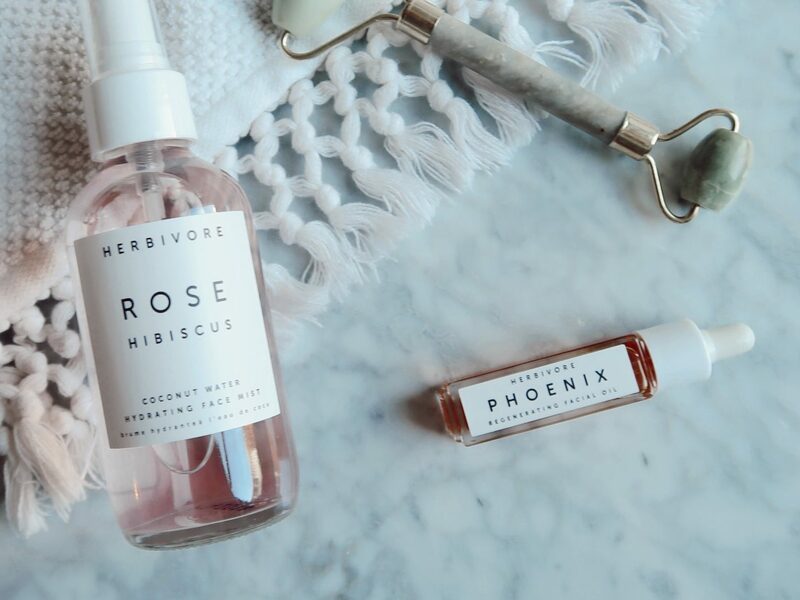 Another Herbivore item I tried is the Rose Hibiscus Hydrating Face Mist. This hydrating face mist is a great when you want a pick me up in the morning. I haven’t been using it long enough to form an opinion on the hydrating part but so far so good. What are your favorite new skincare items? 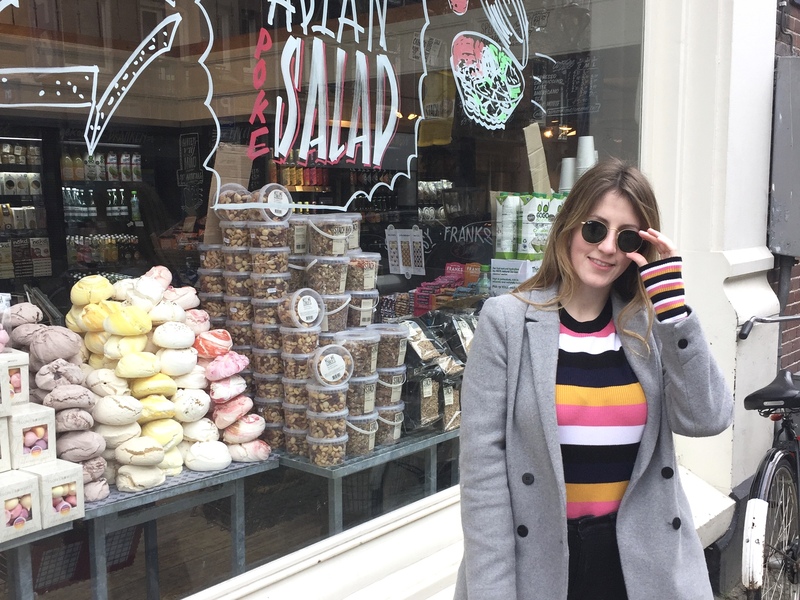 Next Post February is for self-love!